to create the environment they spend time in - Online Communities. and even 'policing' those multi-user online 'exchanges'. and people-skills to that end. helped an organization in terms of revenue or popularity over time, to justify the efforts and resources put into that area. I have long been a fan of Rich Millington and the excellent advice he dispenses daily from his blog at FeverBee.com. 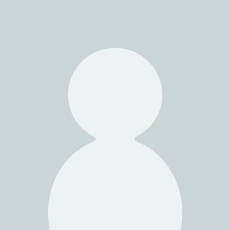 For those involved with leading online communities, you need to go to FeverBee and subscribe to his updates. You'll benefit from the brief, insightful posts he publishes nearly every weekday. I was extremely glad, therefore, when his book Buzzing Communities: How to Build Bigger, Better, and More Active Online Communities was published a few months ago. I readily digested it upon arrival and am eager to share these thoughts with you about the contents of the book, why it's important, and what specific actions it has already prompted me to take in order to be a more professional and effective community manager. The book's two parts and twelve chapters span nearly 300 pages and are devoted to the categories of "How to Manage Your Community" and "Everything You Need to Know About Your Members," with the vast majority of space given to the former. The part on managing your community includes nine chapters: Strategy; Growth; Content; Moderation; Influence and Relationships; Events and Activities; Business Integration; Return on Investment; and User Experience. The second part includes: The Community Ecosystem; Competition - Existing Online Communities; The Audience - Demographics, Habits, and Psychographics; and a wrap-up on Community Management Success. Online community management is a relatively new profession that still lacks much in the way of formal training, education, certification, standards, and proven, documented, and accepted best practices. 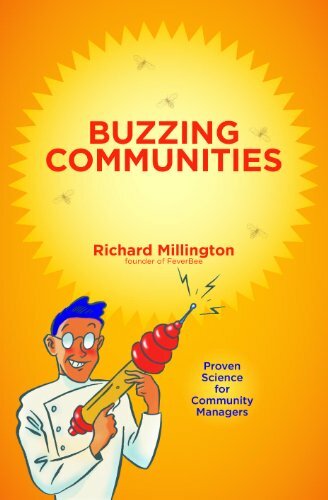 In such an environment, Millington's book raises the bar and sets the standard for what community management is about and where it must go in the best interests of the communities served and the professionals who have responsibility for them. Anyone whose role includes in whole or in part leading an online community will benefit from taking a slow, diligent walk through the book. One of the core ideas of the book is that "data is the single best asset you have to develop a thriving community." Millington is wonderfully relentless about the need to gather, analyze and make decisions based on data in order to grow and strengthen communities. He is spot on correct when he states that too many community managers are "too reactive, too ad hoc, and too lacking in long-term strategy." They fail to use their data probably because they don't gather the data needed to make the best decisions. Some platforms are woefully limited in the data easily mined to help with this need, but even in those instances you'll at least know what you're missing by reading the book. Be forewarned: If you read it, you will no longer be able to speak the lie that "It's hard to measure the ROI of social." The book provides ample specifics to guide community managers through the early planning of new communities through the day-to-day building of existing communities. Millington's insights apply both to internal and external communities of all types, sizes, ages and platforms. I challenge any community manager to read it and not come away with a to-do list of things you can immediately do to help build your community. - I changed the welcome email that I send to all new members by adding one specific thing they could go out to the community right then and do to get them involved immediately. - Since I lead a bi-weekly call of nearly 30 others in our company who have some level of responsibility related to community management, I'm taking one of the book's chapters each call over 14 meetings to discuss the key ideas and insights from that chapter. - We have purchased a quantity of the books to put copies in the hands of community managers in-house. - I routinely do not open my email at work until I've been there 2-3 hours so that I can concentrate on getting important tasks done related to big-picture, long-term growth instead of allowing email to force me into a reactive mode. - I limit the amount of time I give to member complaints or the vocal minority daily. - My manager and I have been in conversation about adding a new analyst role to the team (in addition to the analyst role already planned) to assist with all the data-related needs. Writing up the proposed job description and role justification is my next task on this matter. - Post a list of community volunteer opportunities since it isn't possible or wise for me to try to do it all in the community. - Buy the book and read it. - Subscribe to Rich's blog at FeverBee.com. - While you're there, check out his many additional resources including an extensive professional community management course and a monster list of previous key posts grouped by helpful categories. 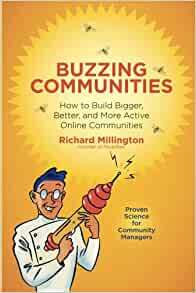 No one, and I mean NO ONE, gets the science of running an online community quite like the author, Richard Millington. I devoured the book, then went back for a slower reading, taking notes and building a plan. We are still working on our optimization, you never really stop, but my site, [...] has definitively (and more importantly, measurably) improved our conversion rates, and decreased time to first post, as well as increased average number of posts for new members within the first 30 days of joining. His website, [...] also has a mailing list with daily emails that are just awesome. Look forward to those each morning. I'm so happy this book is out. A step-by-step guide for building and sustaining successful communities. So much unknown out there on what goes into communities of practice, here's finally a scientific and no-sense approach to communities. I've recommended this book to other community managers and clients in my own work on knowledge management and communities of practice. Richard breaks down the approach on the ONE thing that makes communities tick - PEOPLE. It's not the platform, it's not be brand or some big name; it's the members of that community that drive success. Understanding what members what from your community, how they behave on the platform, how they interact with one another and what they want out of that community are all things every community manager should know about his/her community. There are so many lessons in this book that I literally spend every week sharing nuggets from the book with community managers. Richard also has an amazing site- FeverBee.com. A one stop shop of everything there is to know about communities. You will find yourself going back again and again and again to learn and grow, if you are truly serious about being a community manager or if you are suddenly tasked with running a community. Get this book - an incredibly easy read! !